One of the most amazing series I have recently discovered is "Who Do You Think You Are? ", a US adaptation of a British documentary series of the same name. It is a weekly series that features one famous American personality's genealogy. Though many people think the subject is boring, the fact that it is now on its third season means people ARE interested in the subject. Who would have thought that Sarah Jessica Parker's 10X great-grandmother was once accused as a witch during the Salem Witch Trials, or that Brooke Shields's ancestry stretches up to Italian aristocrats and French royalty? But there were also the African-American ancestors of my personal favorite Vanessa Williams, who discovered that one of her great-great-grandfathers fought in the civil war to defend equality, and that another ancestor was a respected teacher and legislator. Watching each episode brought back memories of my own discoveries about my own ancestors. People like me find joy in poring over old, crumbling records of long-dead people. People who love to stroll around scary-looking cemeteries to look at tombstones of relatives. Genealogy has always been a way for the living to reconnect with the dead. Many people have a hard time understanding where they are going because they have yet to penetrate the secrets of the past. While it is true that we should not get stuck in the past, knowing of our past and our family's journey through time gives us a very good perspective of life. Besides, if we don't seek the dead, who will sing their songs? Who will tell their stories? A colleague of mine told me dismissively once that he finds no use for old Spanish-era church records because they don't tell you anything. I have always used church records as my primary genealogical tool, and I have proven that, contrary to this colleague's pronouncement, I have gleaned a lot of people's stories in these records. Bits and pieces, true, but stories nonetheless. And, as I have already said, if I did not bother to go through these files, who will know about them? In a death record in Argao, in 1894, a certain Don Jose Saady caught my eyes. It obviously caught my attention because it was the first Arabic-sounding surname I encountered. He was described as a Catholic coming from Monte Libano, and was said to have been Syrian. Monte Libano is actually a mountain range in what is now modern-day Lebanon. He died because of a brawl with Domingo Camajalan. He was also Argao's Justice of the Peace at that time. Who was this Syrian who became one of Argao, Cebu's last juezes de paz? He was further described as being married to someone, but his wife was not identified. Was she somewhere else? Did Don Jose Saady have kids left with his wife, who might have descendants today? He was buried in Argao's cemetery, so I can only imagine what his family must have felt back in Lebanon, not being able to visit their father's grave. Or perhaps they visisted later? We cannot tell. Many people have technical definitions of genealogy. For mean, it simply means speaking for those who cannot speak. The dead awaits our help in speaking for them. They who have gone to a hopefully better place can no longer tell their tales, so why not speak on their behalf? It's amazing the stories that come about through this t.v. show, but we also know that it takes time to produce the results that they have on the show and the producers (Lisa Kudrow) like to make sure that the stories selected are worth telling. 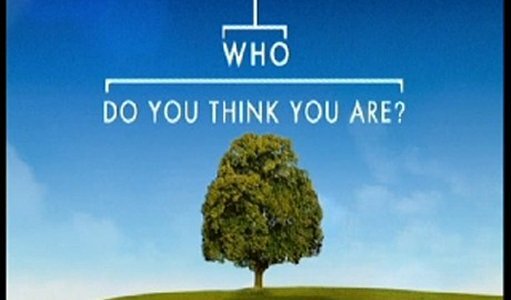 Unfortunately too many people starting with genealogy expect similar results, and they either get disappointed because they can't ravish in European ancestry, heraldry or anything else similar to royalty in their ego-satisfying quest. Instead we should just appreciate for what our ancestors did and that without them, we wouldn't be here, as an old Hawaiian proverb says. Another Hawaiian proverb mentions how we shouldn't expose the bones of our ancestors. That translates to how we shouldn't revel so much of our ancestors exposing them simply to make ourselves look good.